Sunday is the traditional day to receive visitors. Aurora likes tradition! Charles noticed that Aurora was more hesitant to come up to him than she was during his initial visit. 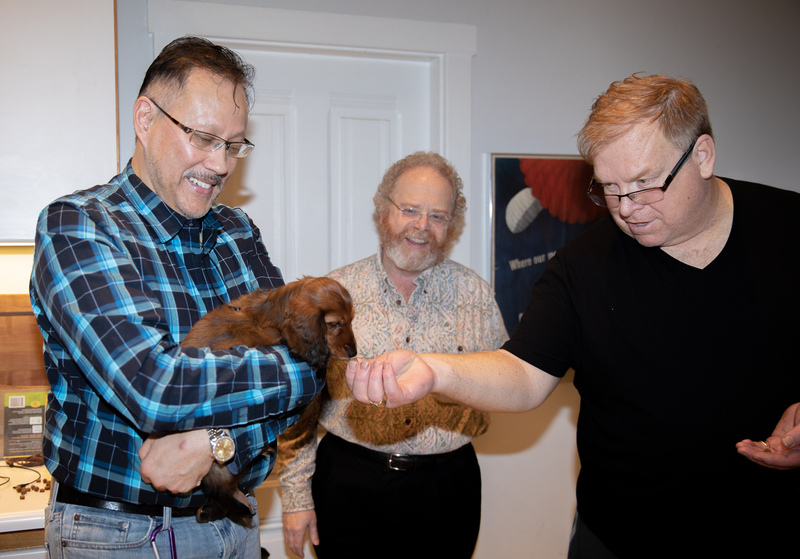 We’ve been told that puppies her age go through a shy stage, and we need to keep her meeting people so the shyness doesn’t become a character trait. As it is, she looks dubious coming up to a visitor’s hand. We think she’d think it’d smell better if there was a treat in it! She thinks he’d smell better if there were a treat in the hand. 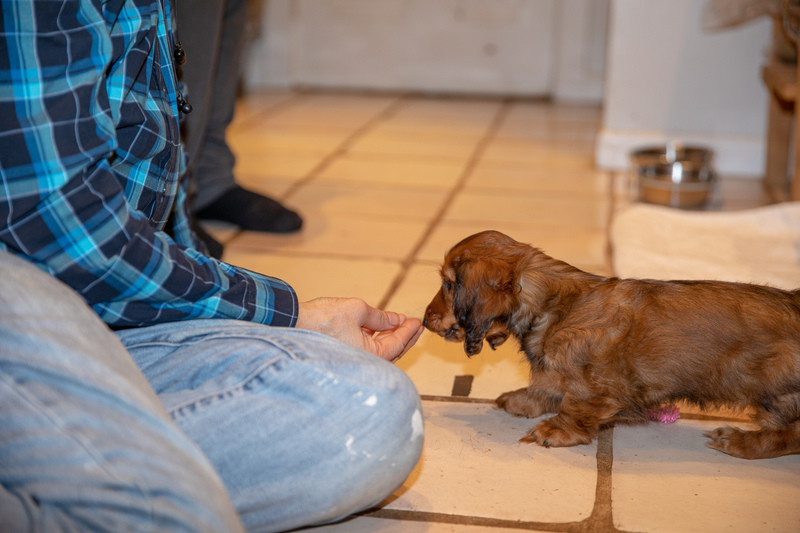 This entry was posted in dachshunds and tagged Aurora, Charles Sterck, dachshunds, puppies2018, visitors, zenith puppies. Bookmark the permalink.